Released a year before the 1960 Rome Olympic games, the adidas Rom still remains a classic. 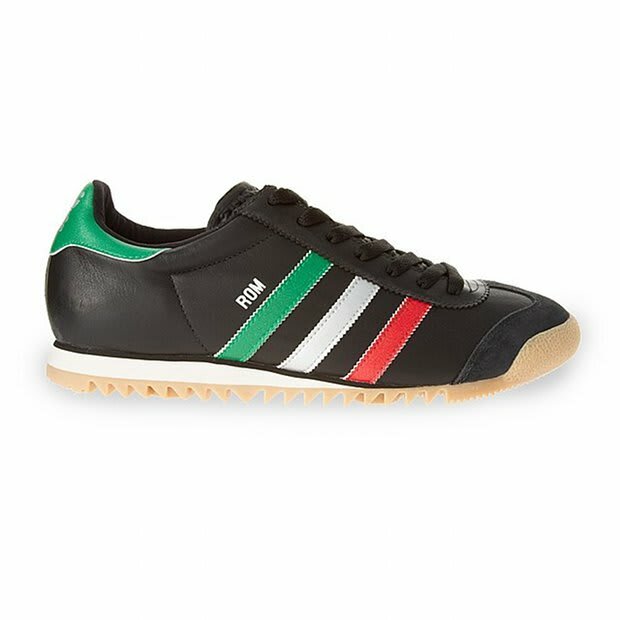 The upper is made of black leather with the Italian flag theme on the three stripes on the side panel while green hits the heel. A gum sole with rigid edges finishes off this timeless release — you can pick them up sometime in October, but they&apos;re available right now for pre-order today through Crooked Tongues.